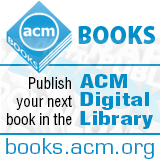 Welcome to the October 15, 2014 edition of ACM TechNews, providing timely information for IT professionals three times a week. Course Report recently conducted a survey of 48 coding boot camps and found 75 percent of graduates were employed, with raises averaging 44 percent from their previous salary for an average of $76,000. The increasing popularity of boot camps is challenging assumptions about higher education. Most boot camps charge $1,000 a week or more, and attract a mix of career changers and students who left college to learn to code. The schools' revenue models differ substantially and many offer discounts for women and minorities. Boot camp students work 10 hours a day to cover a semester's worth of material in four days. "It's a more engaging way to learn, through projects, and each group amazes me with their final projects," says Dev Bootcamp instructor Anne Spalding. "My goal is that in 10 years, the boot camp approach will be part of higher education." Many boot camps emphasize that software developers need more than technical expertise, and aim to develop students' ability to work with a wide range of partners to meet new challenges. Anthony P. Carnevale, director of Georgetown University's Center on Education and the Workforce, says the approach taken by coding boot camps "is too applied, too hands-on, too small-bite to fit easily into a college curriculum. Think of it as a place where technology outruns education." University of New South Wales (UNSW) researchers say they have developed two types of quantum bits that each process data with an accuracy of greater than 99 percent. "We've now come up with two parallel pathways for building a quantum computer in silicon, each of which shows this super accuracy," says UNSW professor Andrea Morello. The researchers developed a device, similar to conventional silicon transistors, that creates an "artificial atom" qubit. "It is really amazing that we can make such an accurate qubit using pretty much the same devices as we have in our laptops and phones," says UNSW researcher Menno Veldhorst. The researchers also developed a "natural" phosphorus atom qubit. "The phosphorus atom contains in fact two qubits: the electron, and the nucleus," says UNSW researcher Juha Muhonen. "With the nucleus in particular, we have achieved accuracy close to 99.99 percent." The high-accuracy operations for both qubits is achieved by placing each inside a thin layer of specially purified silicon, containing only the silicon-28 isotope, which is perfectly non-magnetic and does not disturb the quantum bit. "For our two groups to simultaneously obtain these dramatic results with two quite different systems is very special, in particular because we are really great mates," says UNSW professor Andrew Dzurak. Top universities graduate minority computer science and engineering students at twice the rate that leading technology companies hire them, according to USA Today. On average, black and Hispanic technology employees at seven leading Silicon Valley tech firms make up just 2 and 3 percent of the total workforce, respectively, while about twice as many received bachelor's degrees in computer science or engineering from prestigious universities last year, according to data from the Computing Research Association (CRA). USA Today analyzed the data from CRA's annual Taulbee Survey, which includes 179 U.S. and Canadian universities that offer doctorates in computer science and engineering. However, an even larger discrepancy exists between technology companies and graduates of all U.S. colleges and universities, as a recent National Center for Education Statistics survey found blacks and Hispanics each made up about 9 percent of all 2012 computer science graduates, but blacks and Hispanics make up 12 and 16 percent of the national workforce, respectively. Technology companies say they hire all of the qualified black and Hispanic technology workers they can find. The key to getting more women and minorities into the technology industry has to start with improving education, says Facebook's Sheryl Sandberg. The University of California, Santa Cruz (UC Santa Cruz) on Monday announced the creation of what it called the first-ever computational media department. Computational media covers all fields in which computer science is applied to media, from computer-animated films and computer-generated special effects to video games and smartphone applications. Several institutions already offer computational media programs--the George Institute of Technology (Georgia Tech) offers a Bachelor's degree in computational media and the University of Calgary offers a graduate program in computational media design--but UC Santa Cruz will be the first to dedicate a whole department to the field. The department will incorporate the school's existing degree programs in game design and games and playable media, as well as unannounced new degree programs. UC Santa Cruz professor Noah Wardrip-Fruin says the department will be an interdisciplinary one, incorporating faculty and courses from the computer sciences, arts, and humanities. Georgia Tech professor Ian Bogost says the computational media approach also has the added benefit of bringing ideas of ethics back into computer science work. Bogost suggests many of society's current problems can be traced back to a mindset growing out of the computer sciences that thinks "of everything as just an engineering problem." The U.S. National Institutes of Health (NIH) recently announced $32 million in new awards that will support research designed to make it easier to analyze and use biological data sets. The awards are part of NIH's Big Data to Knowledge (BD2K) initiative, which was launched last year to help foster efforts to make it easier for researchers to manipulate and make sense of large data sets such as those found in the study of genomics, proteins, and medical imaging. The awards will grant $2 million to $3 million a year over four years to 11 "centers of excellence" researching everything from modeling cell signaling in cancer to ways of integrating data gathered from wearable sensors worn by health study volunteers. One of the programs is a global brain data-collection effort called ENIGMA, which is studying DNA data to see if genetic causes can be found for psychiatric disorders. Another program being funded through BD2K is a data discovery coordination effort being run by the University of California, San Diego, which is working with eight other institutions to develop methods to make it easier for researchers to search for and use scientific data. NIH plans to commit $656 million to the BD2K initiative by 2020. Many artificial intelligence (AI) researchers believe one of the major breakthroughs in AI will be creating systems that are effective story-tellers. University College Dublin's Tony Veale says story-telling is an essential component of the human condition and therefore computers need the same capability in order to better understand and communicate with humans. Efforts to create story-telling computers go back to the late 1970s and the creation of the Tale-Spin program at the University of California, Irvine. Story telling is very difficult to teach to computers: you not only need to be able to create casts of characters, but have them interact in ways to propel a narrative forward without being too dull or obviously contrived. One of the keys to making stories interesting is novelty; narratives that follow convention but also do something new. However, this explicit breaking of the rules is very tricky to emulate in software. Still, story-telling computers could have numerous applications. Researchers envision a wide array of possibilities, from software aids for human story-tellers to investigative journalist AIs and video-game designers. Veale says computers that tell stories also will understand how the world works and encourage people "to engage more on an intellectual level." Data and applications can be kept secure in the cloud by cordoning them off in memory from the underlying infrastructure, according to Microsoft researchers. The researchers call the approach Haven and say it uses the shielded execution technique, which protects programs and associated data from the platform on which they run. They note Haven offers additional protection that existing techniques cannot provide, runs on commodity operating systems, and works with any legacy application. "The single most common barrier to adopting cloud computing is the lack of trust in the cloud provider's ability to provide the same level of confidentiality and integrity as one could with an on-premise solution," says security research firm Qualys' Jonathan Trull. The Haven approach depends on Intel's Software Guard Extensions, a new set of central-processing unit instructions for setting aside private areas in memory, and Microsoft's Drawbridge, an experimental virtual container that can offer secure sandboxing of applications. Security professionals welcome the use of the processor as a part of the security setup. Chip-based security will give programs additional protections without sacrificing performance, says Qualys CTO Wolfgang Kandek. Researchers at the Georgia Institute of Technology (Georgia Tech) and Pennsylvania State University have developed an automated imaging technique for measuring and analyzing the root systems of mature plants. The technique uses advanced computer technology to analyze photos taken of root systems in the field, giving scientists the statistical information they need to evaluate crop improvement efforts. "We can measure entire root systems for thousands of plants to give geneticists the information they need to search for genes with the best characteristics," says Georgia Tech researcher Alexander Bucksch. The researchers say their method also could help improve plants grown for energy production, materials, and other purposes. The technique involves photographing a plant's root system against a black background using a standard digital camera pointed down from a tripod. The resulting images then are uploaded to a server running software that analyzes the root systems for more than 30 different parameters, including the diameter of tap roots, root density, the angles of brace roots, and detailed measurements of lateral roots. Bucksch says the system eventually could help scientists study crop roots over an entire growing season, potentially providing new life cycle data. Karlsruhe Institute of Technology (KIT) researchers are developing software that directly translates natural language into machine readable source texts. The goal is enable people to create software applications using a few sentences. However, the researchers note people do not always describe processes in a strictly chronological order. The KIT analysis tool automatically orders the commands in the way they are to be executed by the computer. The software installs a language interface for any type of program, enabling users to open and operate apps using only spoken commands. The researchers say they already have successfully incorporated this type of interface into an application controlling a heating system, illumination, and windows of smart houses. The software analyzes time-related signal words that indicate the spoken text does not describe the process order in a strictly linear manner. "It is our objective that the computer adapts to the way the user speaks, and not the other way around," says KIT researcher Mathias Landhauber. The researchers note other natural language programming challenges include the use of synonyms and pronouns. "People understand these relationships, because the situation flashes like a film on their inner eye," Landhauber says. "We are working on giving computers such an understanding in the long term." A project funded by the U.S. National Science Foundation (NSF) aims to create a Web-based system for hosting, processing, analyzing, and sharing geospatial data. The Geospatial Building Blocks (GABBs) project is developing a system using HUBzero, an open source Web platform developed at Purdue University that enables users to build feature-rich research and educational websites. GABBs eventually will lead to the development of numerous different tools for probing and presenting geospatial data. One of the project's first efforts is a collaboration with the Agricultural Model Intercomparison Project (AgMIP) and the GEOSHARE project. The collaboration yielded a tool for modeling the impact of climate change on historical and future crop yields. The tool is useful because activists and researchers in various regions may not have the software skills necessary to make use of historical crop yield data; the tool handles the process for them. "The tool truly improves the usability of the data set, allowing experienced users to get results faster, and allowing the non-experts to explore," says principle project investigator Carol Song. GABBs is supported by a $4.5-million, four-year grant from NSF's Data Infrastructure Building Blocks program. The U.S. Defense Advanced Research Projects Agency (DARPA) will be presenting teams of the world's best roboticists with a battery of difficult tasks during its robotic challenge finals next June, but one of the most difficult will be the initial challenge: having a robot drive a car through an obstacle and then get out of that car. Getting out of the vehicle is particularly challenging, according to Michael Gennert, director of robotics engineering at Worcester Polytechnic Institute (WPI). Gennert says getting out of the vehicle requires the complex coordination of the robot's different extremities, in most cases without the benefit of the human sense of touch that gives people awareness of where and how different parts of their bodies are in contact with a vehicle. "When it's walking, the robot touches the ground with its left foot and right foot and that's that," Gennert says. "In a car...there are many and different kinds of contact." Teams have the option of skipping this challenge, but their robots would still have to navigate the obstacle course on foot and would forfeit points from the car challenge, so many, including the WPI team, which is working with researchers from Carnegie Mellon University, plan to go for it. Pennsylvania State University (PSU) researchers recently conducted a study of two major academic search engines to estimate the number of scholarly documents available on the Web. They calculated the number by studying the overlap in coverage of Google Scholar and Microsoft Academic Search. Google Scholar is a freely accessible Web search engine that indexes the full text of scholarly literature across an array of publishing formats and disciplines, while Microsoft Academic Search is a free public search engine for academic papers and literature. The researchers used statistical methods to estimate that at least 114 million English-language scholarly documents are accessible on the Web, of which at least 27 million are freely available since they do not require a subscription or payment of any kind. The findings can help researchers better enable themselves to manage scholarly document research and related projects. "It was surprising to see how many scholarly documents were digitized and how many were freely available," says PSU professor Lee Giles. The study was performed using capture-recapture methods, analyzing the degree of overlap between two or more techniques of ascertainment and employing a formula to estimate the total size of the population. About 60 high school and college-age women recently participated in the 2014 International Women's Hackathon on the campus of California State University San Marcos (CSUSM). The participants worked in teams to create, in a single day, a website, app, or video game that addressed either disaster response or climate change. The hackathon also aimed to encourage other young women to pursue computer science at a time when the technology sector has come under fire for its dearth of gender and racial diversity. The hackathon was marked by cooperation, an exchanging of ideas, and occasional words of praise. Learning in a nurturing environment that promotes creativity is why all-female events are important, says CSUSM professor Youwen Ouyang. She says other hackathons are more competitive and have cash prizes of more than $10,000, but these can be intimidating to many aspiring female programmers. "We're here to promote women in this field, so it's all about working together, and not being so competitive with others," says Palomar College student Julia Yang. Still, being personally competitive is important, says Mater Dei Catholic High School Science Academy director Suzanne Till.